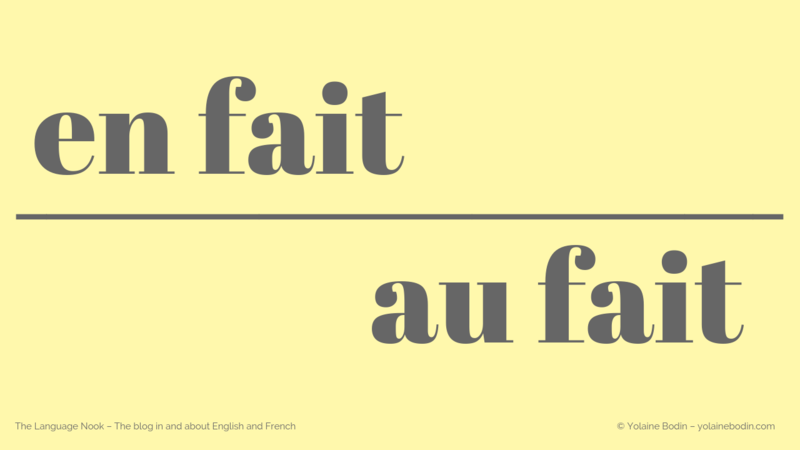 En fait and au fait are two short French phrases that are extremely common. If you think you haven’t heard them much yet, pay attention next time you hear a French conversation and you will soon realize how often both en fait and au fait are used. Of course, there is a difference in pronunciation that is obvious to native speakers but it may sometimes be a little difficult to tell one from the other, especially if you ear is not yet well trained in the French language. However similar both phrases may sound to you, you can’t use one for the other for they are different in meaning and as a result, are not used in the same context.